When it comes to good fashion decisions, the French are always first in line. It's no secret they've been blessed with an innate sense of style, and what's even better, they look so effortless and comfortable in everything they wear. So, when I started decoding the French dressing philosophy, I found out that, luckily for us outside their territory, it's easier than it seems. The key is dressing for yourself and no one else, learning to flatter your figure, and investing in timeless pieces. And although it's true fashion has no rules, Parisian women live by these ones I'm sharing below. No harm in trying. Rule #1: Don't spend on trends. French style is about knowing what flatters the body instead of just following current trends. French women know what they look good on, and before filling their closets with runway must-haves, they create a signature look and stick to it throughout the seasons. Rule #2: Stick to the neutral palette. The signature look will be best achieved including only four basic colors: black, white, beige, and brown. That's how Parisian women master the art of mixing and matching without running out of options nor making mistakes. Create a capsule wardrobe with 25 neutral-colored pieces, and add pops of color with accessories. Rule #3: Have a personal scent. A signature scent is as important as the signature look, and French women know pretty well how this invisible accessory makes the whole look come to life. Pick one perfume you feel the most you and carry it in your bag at every moment. Clothes are the second thing people will identify you with, scent is the first. Rule #4: Choose flats over heels. When it comes to shoes, the minimalist wardrobe philosophy also applies. 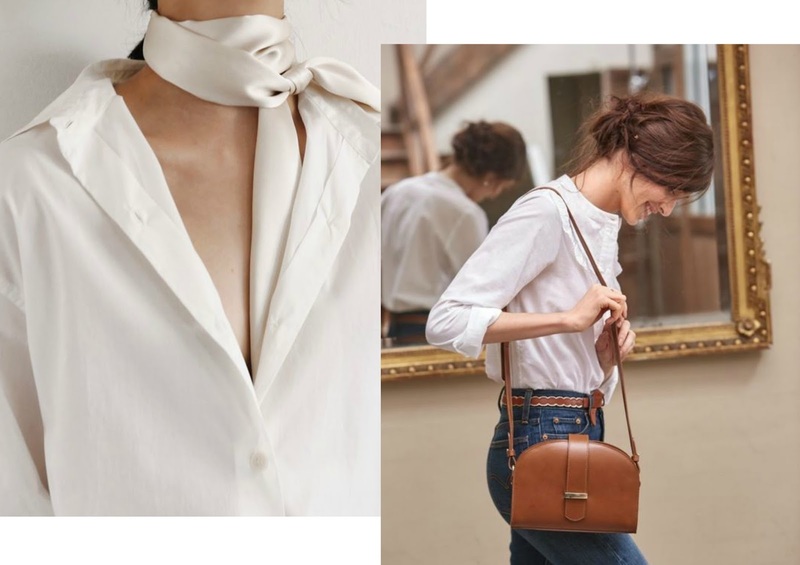 Invest in a few good pairs of comfortable ballerinas, loafers, and ankle boots (remember the neutral palette), and you'll have endless options that will always look fashionable and will let you walk the streets painlessly. Rule #5: Accessorize à la Chanel. When it comes to complementing your clothes, channel your inner Coco and accessorize with key items that'll 'French up' your overall look. Think a silk necktie and a red lip, or diamond studs and a leather bag. Sure Paris is home to luxurious fashion labels, but French style is a lot more than that. It's being genuine, embracing the true selves, and knowing how to build an entire month of looks with 10 basics, and -why not- a Hermès bag.